Monster Hunter's monsters are huge, but it's hard to get a sense of just how big they are without some comparison. 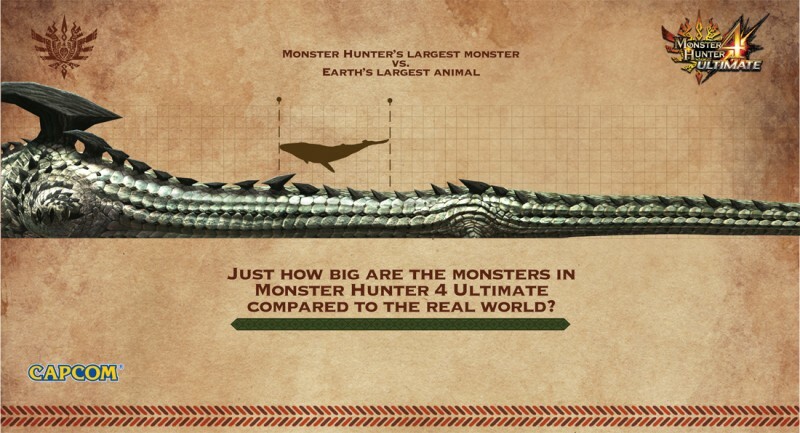 Ahead of Monster Hunter 4 Ultimate's early 2015 3DS release, Capcom has released a collection of images that show just how big Monster Hunter's monsters are – and it is imposing. You can check out the images below and in the gallery. You can also check out an editorial from Tim Turi about how spending time with Dark Souls has finally given him the tools he needs to be excited about Monster Hunter by heading here.